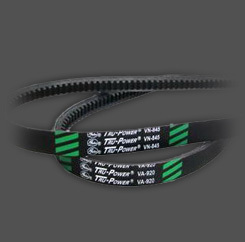 Specifically designed for heavy-duty truck, bus and off-road equipment applications, our Green Stripe® belts are part of an outstanding range of high performance automotive V-Belts offered by Gates. 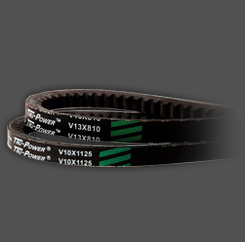 These highly capable belts are adapted for a wide range of uses with exceptional, high-quality constructions. Special tensile cords which give high stretch resistance. Special notch design which resists cracking while providing tensile member support during operation. 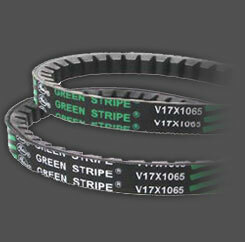 Deep notch pattern that allows greater flexibility over small diameter pulleys and helps keep the belt cool. Oil and heat-resistant construction throughout.